The Foundry Industry relies on HeatTek, Inc. as the “preferred” company when it comes to Core Drying Ovens. 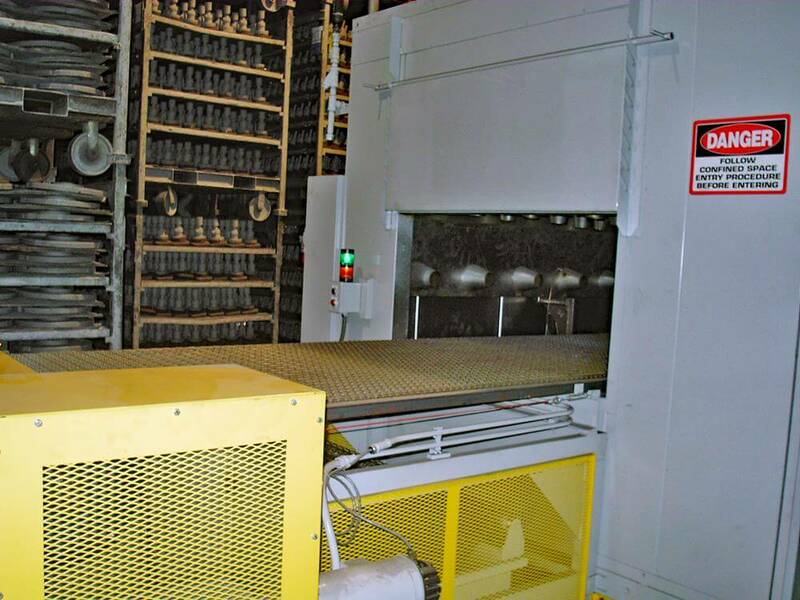 HeatTek Core Dry ovens are used to dry water -based coatings or “wash” that is applied to sand cores. HeatTek will develop and perform tests for each core drying application for proper moisture removal at the minimum time and temperature. We don’t rely on gimmicks and marketing ploys when it comes designing our ovens. Proper air flow is the key to moisture removal and is proven in our Process Development Center at the time of quoting each project. HeatTek offers convention and custom designed drying systems for unique shaped cores. Bring your cores to HeatTek and let us prove the results to you! Variable speed flat-wire belts. These provide the ability to convey heavy loads while allowing air flow through the belt. The open design also allows coatings to be removed in an optional wash cleaning stage. Belting is allowed to pass through a water rinse station utilizing agitation brushes which remove excess core wash left on the belt once the dried cores are removed.